The Old Testament in Archaeology and History | Free eBooks Download - EBOOKEE! 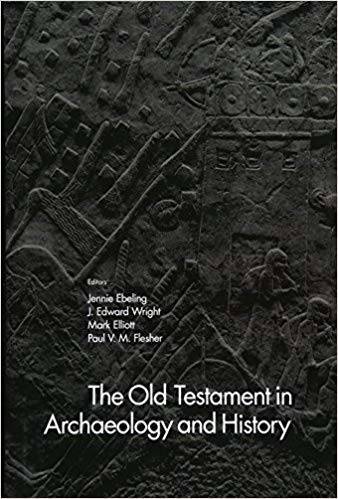 Jennie Ebeling, "The Old Testament in Archaeology and History"
One hundred and fifty years of sustained archaeological investigation has yielded a more complete picture of the ancient Near East. The Old Testament in Archaeology and History combines the most significant of these archaeological findings with those of modern historical and literary analysis of the Bible to recount the history of ancient Israel and its neighboring nations and empires. Eighteen international authorities contribute chapters to this introductory volume. After exploring the history of modern archaeological research in the Near East and the evolution of ""biblical archaeology"" as a discipline, this textbook follows the Old Testament's general chronological order, covering such key aspects as the exodus from Egypt, Israel's settlement in Canaan, the rise of the monarchy under David and Solomon, the period of the two kingdoms and their encounters with Assyrian power, the kingdoms' ultimate demise, the exile of Judahites to Babylonia, and the Judahites' return to Jerusalem under the Persians along with the advent of ""Jewish"" identity. Each chapter is tailored for an audience new to the history of ancient Israel in its biblical and ancient Near Eastern setting. The end result is an introduction to ancient Israel combined with and illuminated by more than a century of archaeological research. The volume brings together the strongest results of modern research into the biblical text and narrative with archaeological and historical analysis to create an understanding of ancient Israel as a political and religious entity based on the broadest foundation of evidence. This combination of literary and archaeological data provides new insights into the complex reality experienced by the peoples reflected in the biblical narratives. No comments for "The Old Testament in Archaeology and History".